Baby Ritz is a soft and sweet pattern designed with a new baby in mind. Baby Ritz measures 42 x 42 inches and is a mixture of prints from Puttin' on the Ritz by Bunny Hill Designs...it uses pink, grey, blue, and cream and is just perfect for the newest addition to any family. Baby Ritz is beginner/advanced...layer cake friendly...42 x 42 inches. 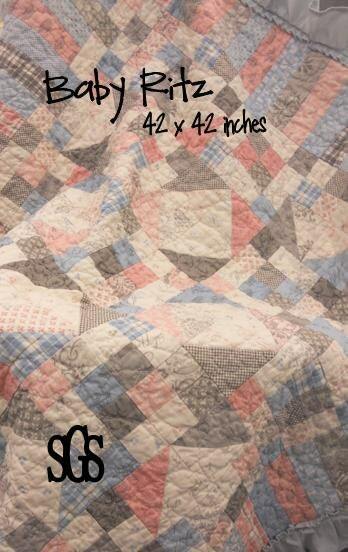 Baby Ritz was quilted by April Zimmer using cream in an all-over medium meander.